Are you a parent blogger and journalist with something to say about family safety and digital parenting? 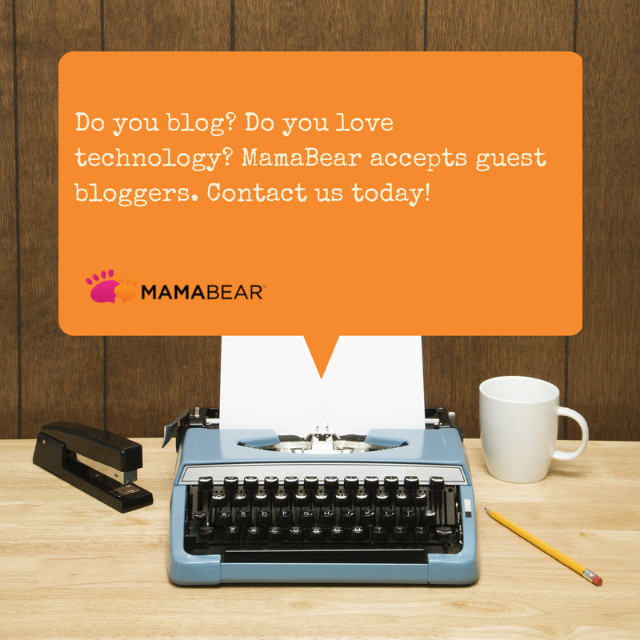 MamaBear wants you as a guest blogger! We’re looking for talented writers who can contribute articles relating to family safety, kids and internet use, social media and mobile device safety among tweens and teens. MamaBear is a breakthrough family safety app experiencing tremendous growth. Our blog audience is growing and our website traffic is consistently increasing with optimized content holding a PageRank of 4 and a high trust value with Google and other search engines. Reach tens of thousands of MamaBear parents with your byline. The MamaBear blog is a great venue for relevant writers looking to gain exposure and share information with a motivated audience. The MamaBear website receives extensive media exposure and has been featured on outlets such as ABC News, CNBC, Marie Osmond Show, Buzzfeed, Forbes, etc. Guest bloggers who contribute to the blog will expose their writing not just to an engaged target audience of parents concerned about family safety but also with national media, including other writers and editors at major publications. We’re on a mission to share relevant information with families empowering them to connect and protect each other using technology. For more information about how to become a MamaBear Guest blogger, see our Guest Blogger Guidelines page here: Become a Guest Blogger for MamaBear!